Herbal shrubs are classic colonial style cocktail mixers made from raw apple cider vinegar infused with fruit, herbs and honey. We use traditional cold-steep infusion techniques using only organic dried fruits and honey, with no added sugar or processed fruit juices. 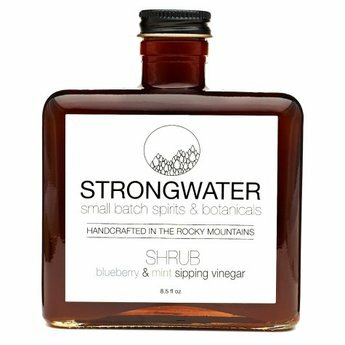 They are meant to be paired with your favorite spirit, in bubble water or taken daily as a health tonic. Enjoy! This vitality boosting wonder tonic (sipping vinegar) adds great flavor to cocktails, mocktails, marinades & dressings. Plays well with bourbon, rum, gin, vodka, tequila, and whiskey.